Founded in 2004, Oliver Heritage is the magazine for enthusiasts of all things Oliver, White, and Cletrac. From James Oliver's first chilled plow to the White Field Boss, Oliver Heritage brings you the history of the people and the machines of the Oliver family of companies. 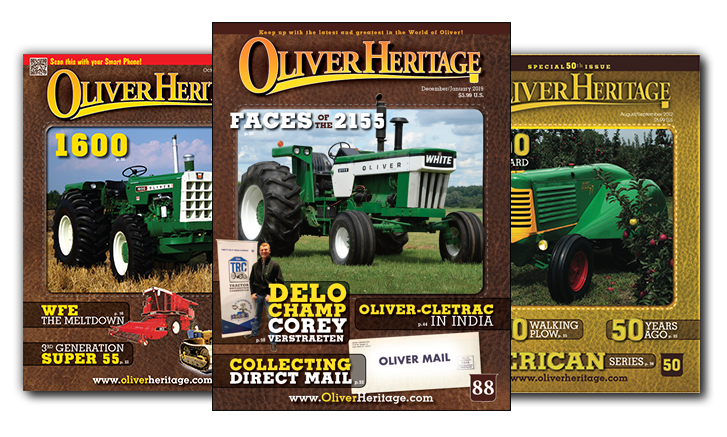 Every two months, Oliver Heritage presents technical articles, history, personal stories, and tractor and machinery reviews in a beautiful full color magazine. In every issue, editor Sherry Schaefer digs into her extensive collection of literature and historic photos to present little known facts about long-forgotten aspects of Oliver history. Cletrac history is covered by well-known Cletrac expert Landis Zimmerman. Larry Harsin helps readers with technical information to keep your equipment in good running condition. Oliver Heritage is a must-have publication for anyone interested in the history of the Oliver line of machinery. Proud to have hit our ten year anniversary in 2014 - Looking forward to the next decade! 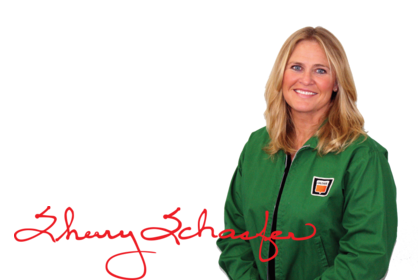 Sherry Schaefer is a Greenville, Illinois (Bond County), native and grew up around tractors and equipment. Her grandfather, Ervin Schaefer, was an Oliver tractor dealer in both Granite City and Hamel, Illinois, from 1936 -1965. Her father, Oliver "Ollie" Schaefer, is a used Oliver tractor and equipment dealer in Greenville, Illinois. The Schaefer family also owned and operated a national tractor pulling sled service for more than 25 years beginning in the late 1960s. June 2018 marks 25 years she has been a magazine editor. Can't get enough Oliver Heritage? Enter your email address to stay up to date on all the latest happenings, special promotions, and new products!